It is a wonderful thing to have a beautiful home, customized to suit every person’s needs regardless of physical abilities. 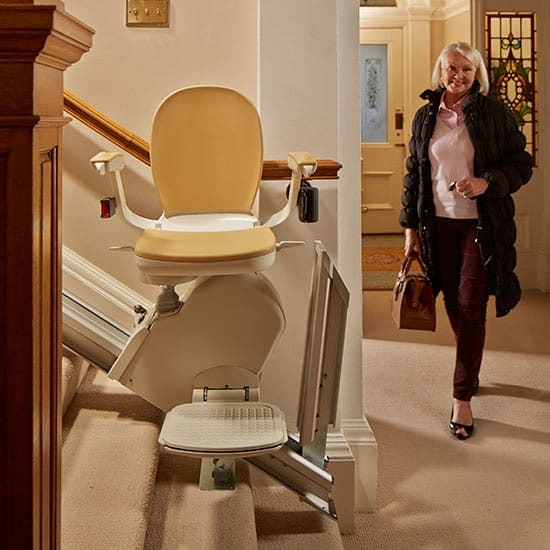 A stair lift provides the freedom for everyone to go upstairs. As millions of Americans get older, it is about time that every two-story home in the USA has an electric stair lift as standard equipment. Anyone who wants to do so, should have the option to ride up the stairs in safe and comfortable lift chairs. For those with straight staircases, StairGlide NY’s elegant solutions include stairway lifts from Acorn 120, Harmar Pinnacle, and Handicare Simplicity. 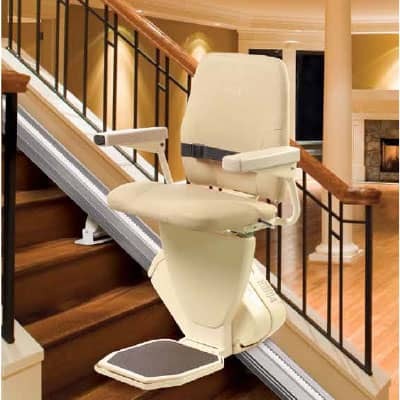 These stair lifts offer strength, durability, and convenience. The Acorn Brooks features an elegant slim design that folds up compactly to be out of the way when not in use. It has a delicately smooth start and stop for complete comfort. 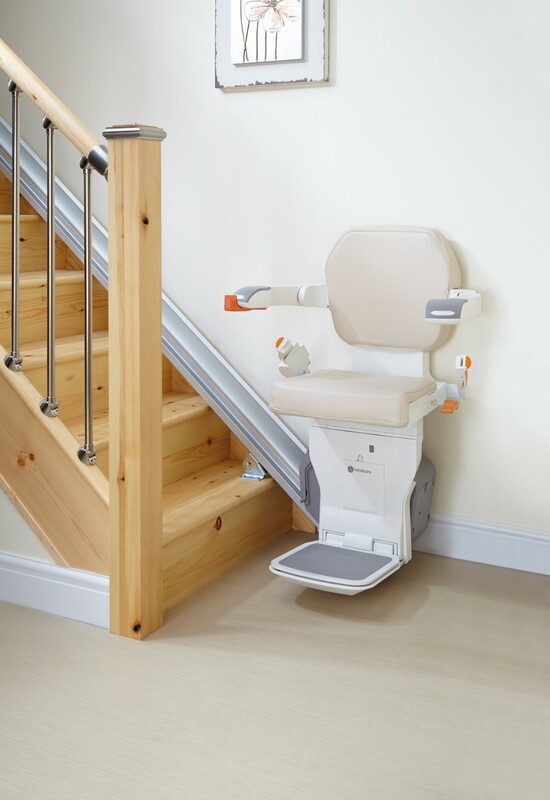 The Harmar Pinnacle has a wide, comfortable seat, which swivels at the top landing of the stairs, making it super easy to get in and out of the stairs lift. Standard is a 350 lb. capacity unit, with an available upgrade to 600 lb. capacity. Should anything block the stairs or track used by the chair, safety sensors tell the chair to come immediately to a safe stop. The Handicare Xclusive has both powered and manual options, used to open the chair seat and put down the footrest. This safe, practical, and reliable stairlift is a cost-effective choice, and offers functionality that will be welcome to anyone who requires mobility assistance. It makes good common sense to install a stairlift. Not only will the chair lift be available for use by the home occupants as needed, but also for use by any guests. They serve a dual purpose as both an elderly chair lift and a handicap chair lift, so nobody feels left out. If the guest room happens to be upstairs, there is no reason why a person who cannot climb stairs should not be able to enjoy it. Get in touch with StairGlide NY today. No matter what the specific needs may be, count on StairGlide NY for the best quality in straight stairlifts on Long Island. StairGlide NY is the most respected company in this area helping so many with their needed home modifications. A quick call, a simple installation, and with a new straight stair lift on Long Island, once again become the master of your complete dream home that allows everybody the freedom and mobility to safely enjoy all floors.